(B) the court determines that applying them in a particular action would be infeasible or work an injustice. (b) December 1, 2007 Amendments. 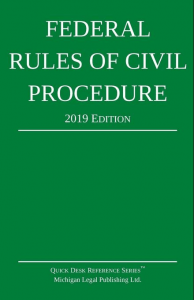 If any provision in Rules 1–5.1, 6–73, or 77–86 conflicts with another law, priority in time for the purpose of 28 U.S.C. §2072(b) is not affected by the amendments taking effect on December 1, 2007.